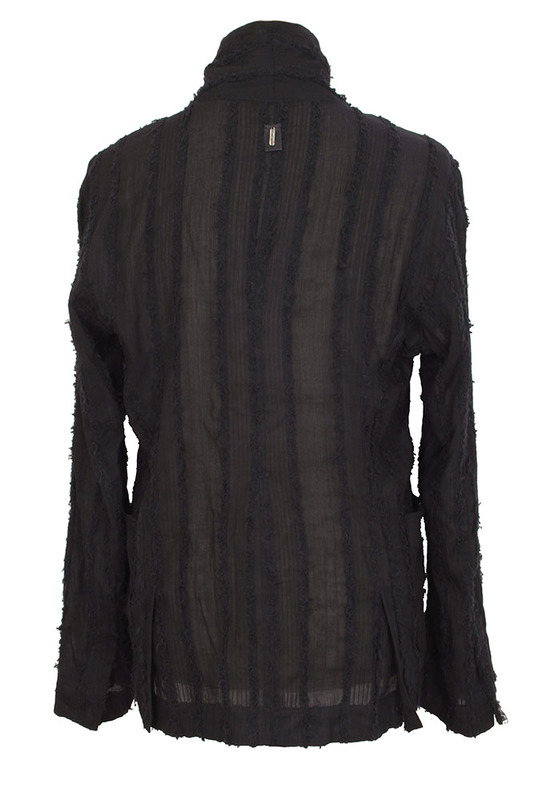 David's Road Cotton Stripe jacket (blazer) in black, with deep black stripes and slightly sheer black panels between with softer stripes. Single metal popper fastening. Slightly cut-away style. 2 patch pockets. vented cuffs with fabric insets. Double vents at the rear. 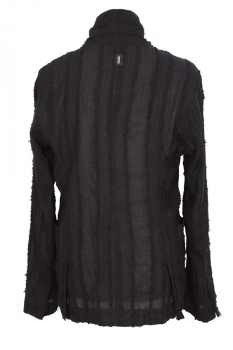 Beautiful jacket that matches the shirt and trousers in the same black fabric.